Since the late 1800s, many Progressives taught that improved morality was vital to reforming society. In this time period, many viewed alcohol as radically harmful to the moral life of the USA. Many Progressives wanted Prohibition to be enacted by the government, which is the banning of alcohol. The Women’s Christian Temperance Union formed in 1874. 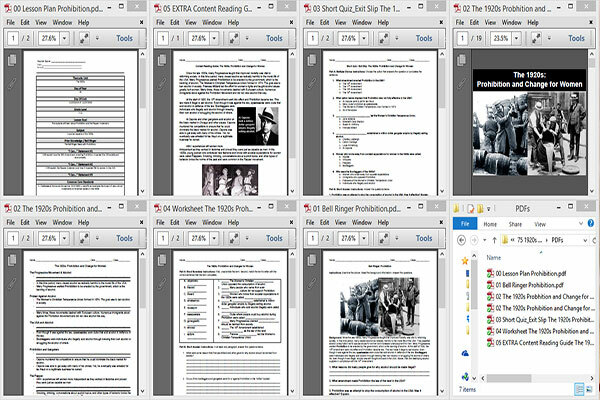 The goal was to ban alcohol in society. Frances Willard led the effort for women’s rights and taught alcohol abuse greatly hurt women. Many times, these movements clashed with European culture. Numerous immigrants stood against the Prohibition Movement and did not view alcohol this way. 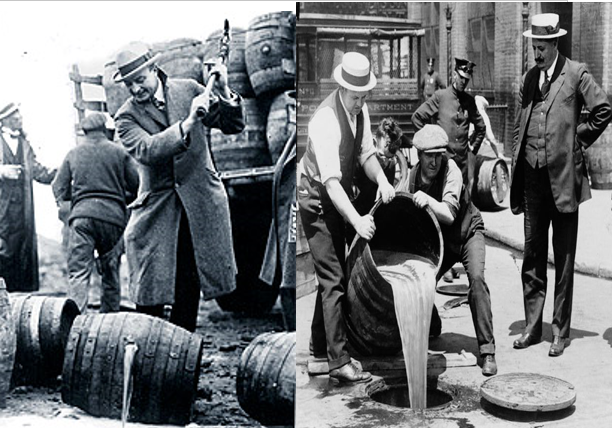 At the start of 1920, the 18th Amendment went into effect and Prohibition became law. This law made it illegal to sell alcohol. Even though it was against the law, speakeasies were clubs that sold alcohol in defiance of the law. 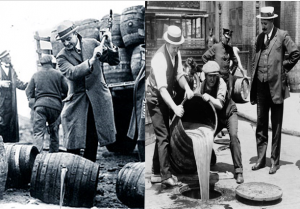 Bootleggers were individuals who illegally sold alcohol through brewing their own alcohol or smuggling the alcohol of others. Al Capone and other gangsters sold alcohol on the black market in Chicago and other places. Capone murdered his competitors to ensure that he could dominate the black market for alcohol. Capone was able to get away with many of his crimes. Yet, he eventually was arrested for tax fraud on a legitimate business he owned. WW I experiences left women more independent as they worked in factories and proved they were just as capable as men. In the 1920s, young women who embraced new fashions and broke with societal expectations for women were called Flappers. Smoking, drinking, conversations about explicit topics, and other types of behavior broke the norms of the past and were common in the Flapper movement.